Savvy Dreams, a filly from New Zealand, has been nominated as one of 31 horses set to take on the Schweppervescence Stakes, registered as the Auraria Stakes, after a close race against Bonneval and Devise at the Little Avondale Lowland Stakes and the New Zealand Oaks. Savvy Dreams will have her first run on Australian Soil this weekend as a participant in the Group 3 1800 metre Schweppervescence Stakes at Morphettville, where her trainer are hoping she will take the $120,000 purse. However, her trainers Guy Lowry and Grant Cullen are viewing the Schweppervescence Stakes as a lead-up run to her main Adelaide mission, which is the Group 1 2000 metre Schweppes (Australasian) Oak, worth $500,000 at Morphetville on May 6th 2017. 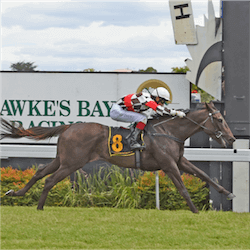 Savvy Dreams found herself set against some tough competition at the Little Avondale Lowland Stakes in Gisborne, New Zealand where she came second to Bonneval in the Group 3 2100 metre race at Hastings on March 2nd. Savvy Dreams then went on to come in last start 3rd place behind Bonneval and Devise at the Group 1 2400 metre New Zealand Oaks at Trentham on March 18th. 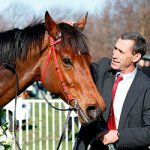 It is for this reason that her trainers opted to not follow Bonneval and Devise to the Group 1 James Boag’s Premium Australian Oaks 2400 metre in Sydney. However, Savvy Dreams isn’t out of the woods just yet, as she is set to face the Darren Weir trained Kenedna at the Schweppervescence Stakes, who has won two of her three last starts at The Vanity and See South Australian Laelia Stakes. Hastings co-trainers Guy Lowry and Grant Cullen believe Savvy Dreams will mature into a top-class four-year-old mare, and are hoping the trip to Adelaide will provide with her invaluable experience and see her innate ability come to the fore to help her take 1st place. After her results at the Little Avondale Lowland Stakes and New Zealand Oaks, Cullen stated that Savvy Dreams is still immature, but very talented, and the Adelaide races are going to be a good test to take her into next year. Paul Gatt will ride Savvy Dreams in the 1800 metre Schweppervescence Stakes on Saturday April 22nd and Craig Williams, who knows her form well, is booked to ride her in the Australasian Oaks. After completing her degree, Jennie Martin began her journalism career by working as an intern on the entertainment pages. However, her passion for sport was quickly noticed, and she began covering local events. She now puts her considerable expertise and more than a decades worth of experience to good use, keeping readers up to date on Australian and international sports betting news. From the latest sporting results to the thrills and spills of the online betting industry, Jennie is the australiansportsbetting.net expert in the field. 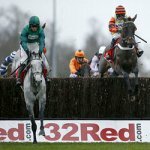 Presenting Percy will be missing the 32Red King George VI Chase that’s set to take place at Kempton after connections decided against allowing the Cheltenham Gold Cup favourite for the …. 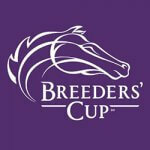 It was a big day for the favourites at the 2018 Breeders Cup, especially on the second of the two extremely busy days at Churchill Downs in Louisville, Kentucky. Favourites …. 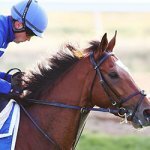 Godolphin’s Cross Counter has claimed victory at the Melbourne Cup, Australia’s most prestigious race while setting a number of firsts and giving jockey Kerrin McEvoy his third trophy yet. The …. Shamal saw victory at the 144th Grand National Steeplechase that took place at Riccarton. The Ken Duncan-trainer eight-year-old stuck close to the rails throughout the race as rider Buddy Lammas …. 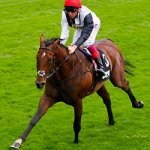 Many were taken by surprise after learning that Cracksman would be attending the King George VI and Queen Elizabeth Stakes, which are set to take place at Ascot. John Gosden, ….